READY TO UNLOCK STAGE 2 ON YOUR 2.5T? Your Audi RS3 or TTRS is a sporty fun drive straight from the factory, however, there is a lot of power hiding just inches from your right foot. You may already have a Stage 1 Tune, but you're ready to feel the complete performance potential from your powerful 2.5T engine. 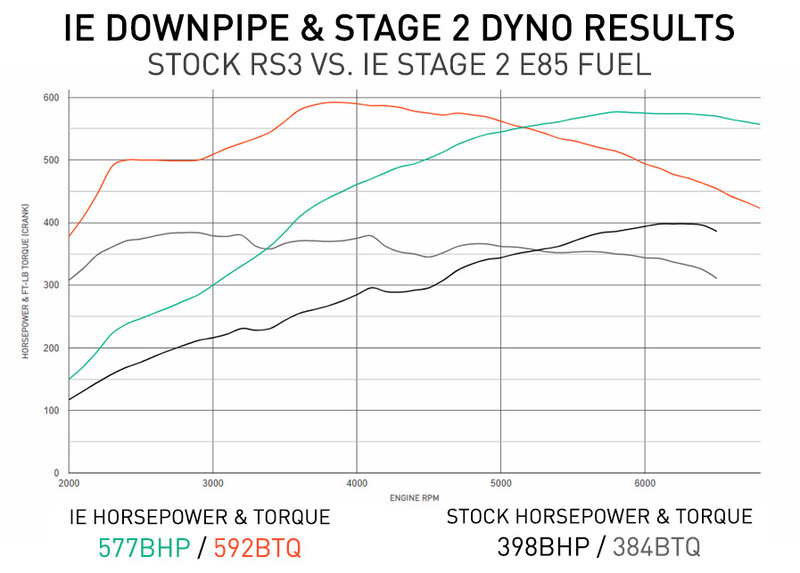 Adding the IE downpipe is the key to unlocking Stage 2 horsepower and fully releasing that RS beast! Your 2.5T engine is capable of supercar level horsepower on the stock engine and turbo reliably with a Stage 2 Tune alone! However, the factory installed downpipe is designed for maximum emissions and economy, not for power. This design is riddled with small piping, harsh bends, and power sucking restrictions that limit your power gains to only Stage 1 Tune levels. In order to correct that, a true performance downpipe is required to open up the exhaust flow and allow the turbo to spin freely! IE engineers set out to design the ultimate downpipe option for the 8V RS3 and 8S TTRS chassis by employing leading-edge development technology along with highly specialized cast manufacturing. By using cast sections this allowed our engineers to design specialized shapes into the downpipe itself that lets it conform and fit into very tight spaces while retaining it's large size and maximized flow rates. The design is so specialized that 3D scanning was used to build a digital model of the chassis to design in allowing us to build shapes down to the millimeter. This design is just not possible using traditional stainless steel pipes and bends found in most exhaust manufacturing. 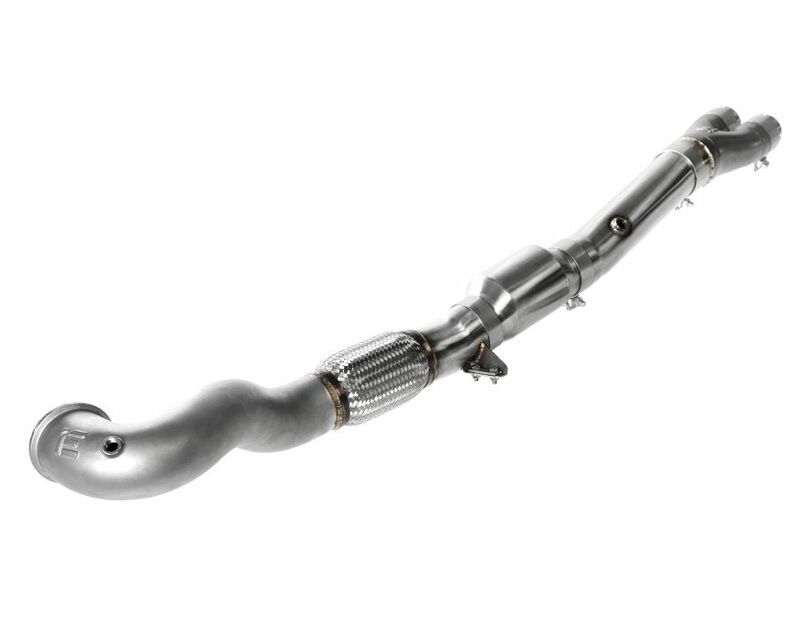 Bolting this downpipe onto your Audi along with other matching bolt-ons and an IE STage 2 Tune results in up to 577 horsepower! You can take your RS3 or TTRS from a sporty driver to a power monster in a single weekend. Downpipe requires Stage 2 Tune for complete installation. LET THAT 5 CYLINDER SING! Your RS 2.5 TFSI engine has an amazing 5 cylinder sound that all enthusiasts love. Unfortunately, much of that sound is muffled by the factory downpipe system. 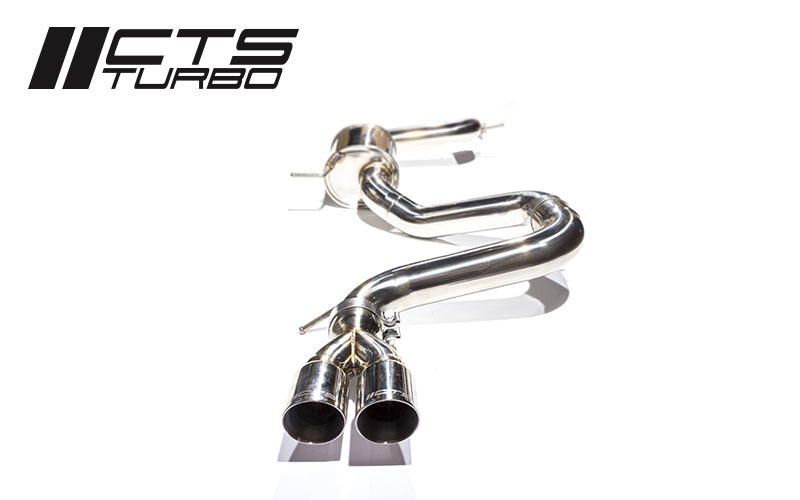 The cast design of your IE downpipe creates an aggressive and deep tuned sound that showcases the unique rumble from the 5 cylinder turbo engine. It remains perfectly daily drivable and modest on your daily commute, but when you put the pedal down it transforms into an all-out howling beast! By employing a high flow metal matrix catalytic converter, horsepower loss is almost non-existent while keeping unpleasant smells and increased emissions to a minimum. However, the CAT section can be completely removed and replaced with a straight exhaust pipe for track days or drag events if you wish. 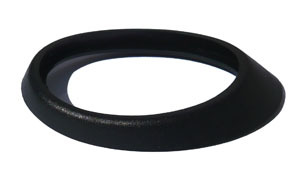 This downpipe holds the seal of IE quality and has been manufactured to last as long as you own the vehicle and beyond. Constructed from 304 stainless steel and expertly tig welded for incredible reliability. The cast and CNC machined turbo flange is thick to prevent leaks or warping at the turbo while a quality flex section works to allow normal movement between the chassis and engine without adding strain to the downpipe. This downpipe kit includes everything needed to bolt-on directly with no permanent modifications or alterations to the vehicle. The removal of the factory downpipe is a very long process and is only recommended to be performed by a professional. DIY is not recommended for most on this product. CLICK HERE to view and download a step-by-step install guide (coming soon).